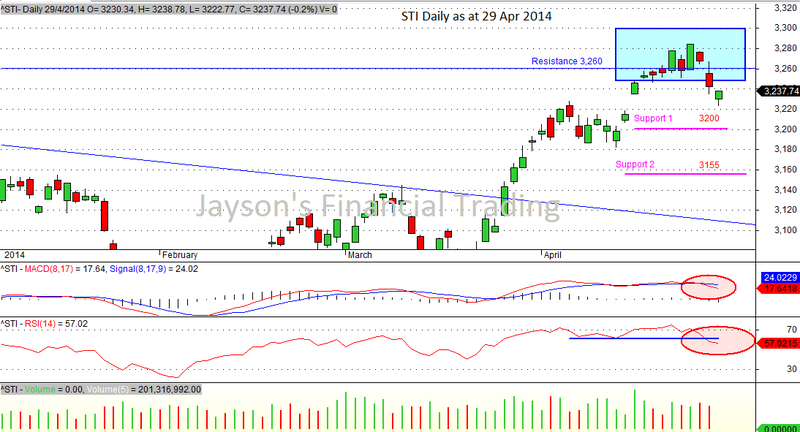 Posted on 09/03/2014 by Jayson	in Markets Comments and tagged consolidation, reistance, STI. 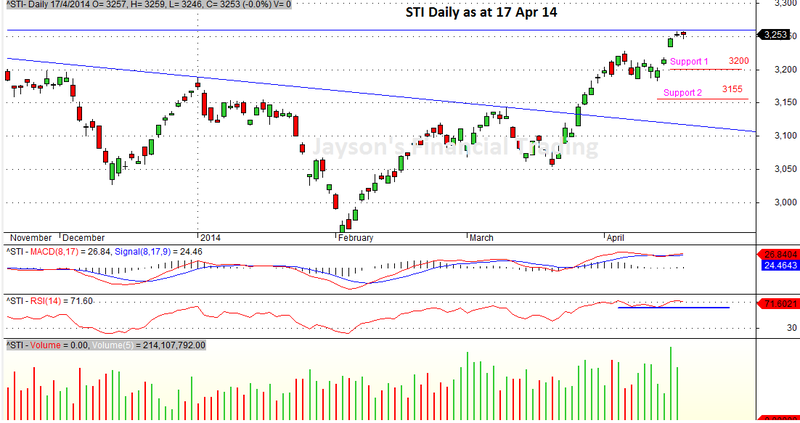 STI has broken its resistance of 3,120 on 6 & 7 Mar 2014. 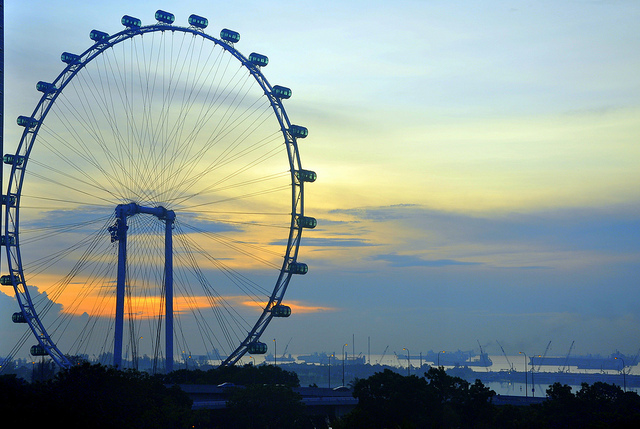 The resistance (3,120) has been well held for the last 11 trading days starting 19 Feb 2014. Currently, both the RSI and volume is high, but experience losing of strength. 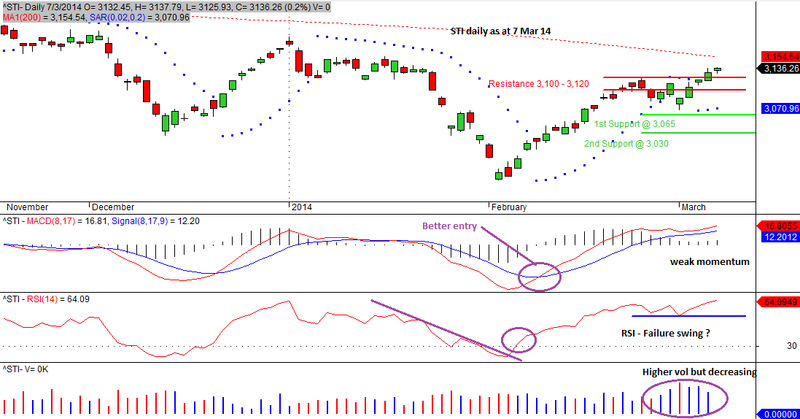 MACD is positive but upside strength weakened. The trend is bullish, but considering all factors, it is not a strong entry as compared to the one on 11 Feb 2014, which I have mentioned in my 7 Feb 2014’s posting. The Index has been on the up trend for the last 22 trading days. I will observe for 1 to 2 more trading days to ensure no false breakout. Traders may wish to enter/ re-enter the trade upon a pullback. 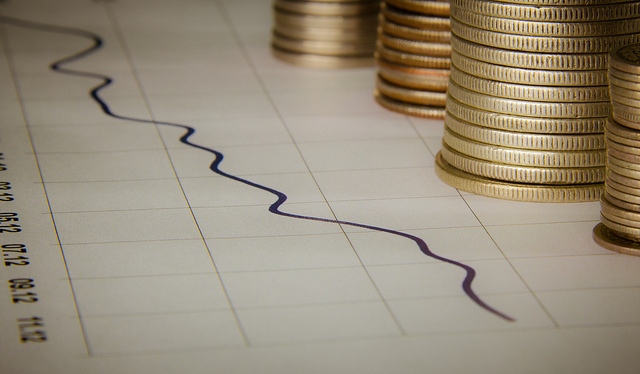 As conservative traders, it will be good to take partial profit still, if you have not done so. The immediate support is at 3,065. The next target will be forecast when it is confirmed not a false breakout.